Expect a different level of plumbing experience with a qualified plumber in Aliso Viejo, CA. It takes years for a plumber to get his or her license, and that type of experience and skill shouldn’t be taken lightly. Contact us if you do not know what to do with a plumbing leak in your home. This helps keep our overhead expenses down, and enables us to maintain the cost of our services at a minimum. Call us for plumbing repair or to perform general cleaning, and expect our Aliso Viejo plumber to be right over in one hour. Here at OC Plumbing Pros, our plumbers are equipped with the right skills to perform any plumbing job competently. Rest assured that when we come over, we already have with us all the necessary tools and spare parts so we will not have to rush back and forth for anything else. Call us 24/7 at (949) 371-8413. Professional Water Heater Installation and Repairs: When any part of the plumbing system breaks down, homeowners can only groan in exasperation. That’s because repairs cost money. Having us over also allows us to check if you are using your heater to its full capacity, or beyond its capacity. If the repair is minor, however, the amount would be far less than that. We always strive to cut the expenses without compromising quality of work. Efficient Drain Cleaning Services Keep The Water Flowing: While the drains are considered important components of plumbing systems, they sometimes end up the least prioritized when it comes to maintenance, and are given attention only when there is already water accumulating in the sink, accompanied by a foul odor. But then again, that’s nothing new as homeowners are typically not proactive when it comes to any part of their plumbing system. But we are here to deal with things like this, using our high-tech gadgets and our expertise to safely and completely unblock the clogs from your drains. We do advice that you call us to check your drain before any such problem occurs. Precise Spotting Of A Leak and Repairing It: Leaks in pipes that are hidden from view are almost impossible to detect. Leaks have the potential to create havoc to your property and increase your water bills by folds. If you feel that you consumed the same amount of water, there’s a leaky pipe somewhere. If your water bills are increasing, despite your water conservation measures, it is mostly like due to an undetected leak. Emergency Plumber Aliso Viejo – Call Us Now! Re-piping, Plumbing Installation and Repair of Garbage Disposal: If you have a damaged water pipe in your Aliso Viejo property or if there is a need to relocate your pipes in order to conform to the new property plan, keep us in mind to perform what is required in compliance with safety codes. Look no further than our company, then, and receive expert advice on the best thing to do when your unit is in trouble. Let us emphasize that repairing or installing garbage disposal is something you must leave under the hands of an expert, because there are specialized tools and skills needed to get the job done flawlessly. Whether you have a leaky pipe underneath floor boards and ceramic tiles, we have the equipment to limit the damage to the smallest area possible, which would be to your advantage since you can save on materials and labor. Toilet Installations and Repairs: You can always count on us to give you peace of mind as we work on your toilet issue, whatever time or day it is. That means limiting the number of hours we are in your home, and that means working fast. Besides compromising comfort, it can also compromise your health, more so if the problem occurs in your home. Call us and we will have our plumbers assess the situation, and if we find your toilet broken, we will advise you to get a new unit, instead. We understand your frustration when your toilet is leaking, broken, or clogged. 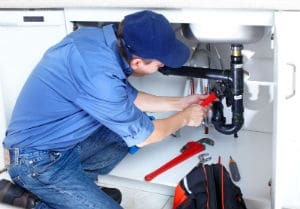 24/7 OC Plumbing Pros Emergency Services for Plumbing-Related Problems: We offer round the clock services because we know we cannot put off a plumbing emergency when it happens at midnight or early in the morning. Plumbing issues can affect your daily activities, and, when not fixed right away, they can have unfortunate effects not just on your property, but on your health, too. We can then send a team of technicians to your location as soon as possible. Every call is processed right away although the estimated arrival time will depend on traffic and distance, of course. Call Our Aliso Viejo Plumbers Now! We do this through the experience of our technicians, and the tools and equipment we’ve acquired through the years. Give our plumbing contractors a call and you will understand why we come highly recommended in the area. Our plumbers are equipped with the right knowledge to guide you on how you can make regular plumbing maintenance work to your advantage. Give us a call and let us talk more about plumbing repair and installation services at OC Plumbing Pros. Call us today at (949) 371-8413!